FaithWorks Fall Festival: God’s Work. Our Hands. 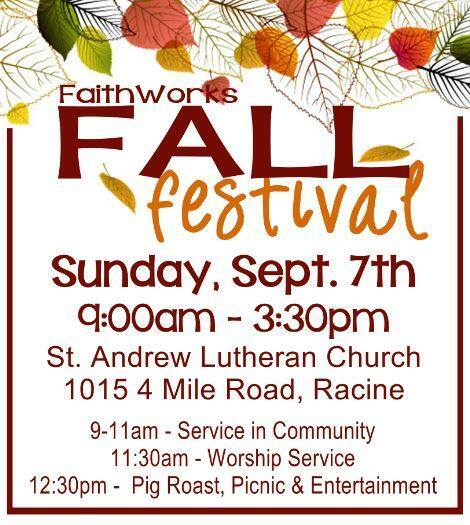 Sunday, September 7, 9:00 a.m. to 3:30 p.m. at St. Andrew Lutheran Church, 1015 Four Mile Road, Racine. 3:15 p.m.: 50/50 raffle drawing. Zumba. Live music. 50/50 raffle. Free fun for the entire family.